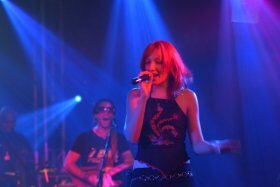 If you are looking for a soulful vocalist able to belt out songs for dancing but also offer a mellow, background set for any occasion then Georgie Soul Duo is for you. With a huge list of songs and years of experience performing in intimate weddings and large corporate events their demos are well worth a listen. 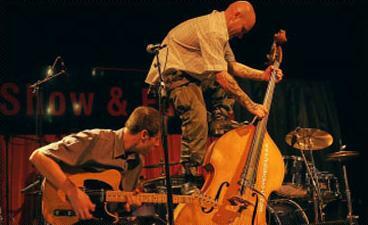 Like our other London acts they have enjoyed many weddings in and around London, Kent,Surrey and Essex to name a few places. They have such a wide reportoire that it seems ftting they should be ranked in the top 5 of the Morris Agency most requested acts so far this year and last. we had on Friday were brilliant. Please pass this on to the band for me. Swing Jamborees are one of Londons finest Jazz and Swing bands. 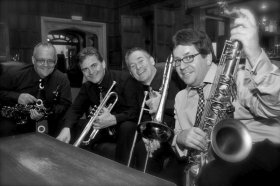 Ideal for London Wedding and London Jazz or Swing Themed parties. When to start looking for wedding bands? You might think you have loads of time to find a wedding band, but don’t get caught out! We have several last minute and late wedding band hire offers, but if you are looking for a specific act then it is worth planning at least a year in advance, as popular acts do get booked up a long way ahead! So, if you are getting married and wish to find a wedding band to hire for 2011 then you haven’t got long. If you are planning to hire a wedding band for 2012, then it might be worth the initial thoughts on which kind of act would be suitable and start to check out some demos now. If you do it online and use an agency it won’t take long for you to get some ideas to discuss with your partner about the kind of band that would be suitable to book for your wedding. Our quick tip would be to look at the theme of your day and build it around that, or go for something that has a broad appeal such as a party band that plays all ages of music for the young and old in the wedding party.